Caesarea Israel, Caesarea hotels in Caesarea. 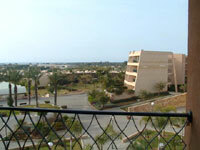 Rent Caesarea hotels, Caesarea accommodation by owner in Caesarea, Israel. vacation suite apartment at Neot-Golf resort Caesarea, Israel. perfect family holiday,free use of swimming pool, fitness room,sauna. also beach, golf, horse, spa..